This fun and enriching camp bring us together as tribal members of the planet to investigate how our Mother Earth keeps us alive and kicking. Through our discoveries, we figure out ways that we may take care of our earth. We are cultivating the "Earth Walkers Way", that is to say, we are all about the care of the body and the care of the planet. Bunny Head Yoga is a part of a bigger plan, but it's what's we've always done: work and play with the kids, connecting more to nature and to their true selves. We do this by creative crafts from recycled materials and things from the natural world, yoga specifically designed for kids, dance/martial arts and going on urban adventures. We have awesome and unusual guest speaker. To name a few from our past: a sound hearler with his 6' didgeridoos, a Peruvian Wisdom Keeper that created an earth honoring ceremony for the kids, an herbalist that assisted them in formulating individual perfumes/energy cleansers and more! We go on unique urban hikes, and while adventuring, we cultivate a reverence for the natural, looking deeper into our everyday urban culture to see that the natural world is with us at all times. As we explore the terrains of our earth, we also explore the terrains of our bodies. Bunny Head Yoga is liberating fun yoga that is designed specifically for kids as well as creative movement lead by Freesia Huth and James Martinez. By connecting to the body, one can develop focus and concentration, strength and self-confidence. We may do a drumming meditation to meet our power animals, or create a gratitude bundle to express thanks for all we have. At Powerhouse camps, creativity is a priority, we do lots of fun and creative crafts from our outrageous Frankendoll zip line to rockin' out with a jar of cream to make butter. We help kids to connect more deeply to the earth and to themselves through creativity, body awareness and communication...yet in the midst of all these deep teachings, there is no shortage of good, clean...er, maybe a little messy...FUN!! Check out the camps below and sign up now!! 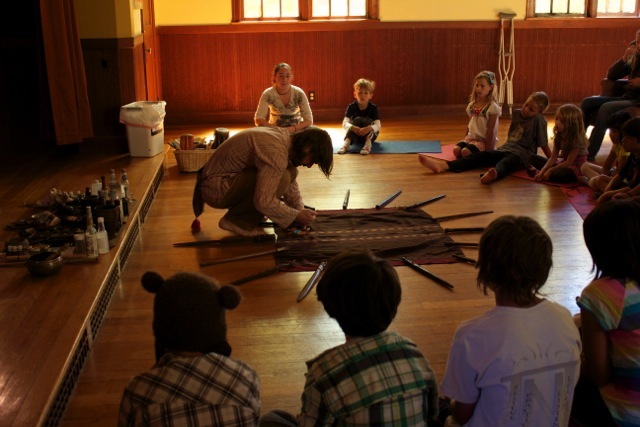 Jnana Gowan, Director & Founder of Powerhouse Education, Earth Stewardship and Bunny Head Yoga Programs. Freesia Huth will co-lead our Girl Power week. She is a movement/dance specialist with over 20 years experience working with kids. She swims in knowledge of dance and movement but more importantly, silliness, respect and spirit. James Martinez brings his kind insight along with his martial arts expertise but that's not all. 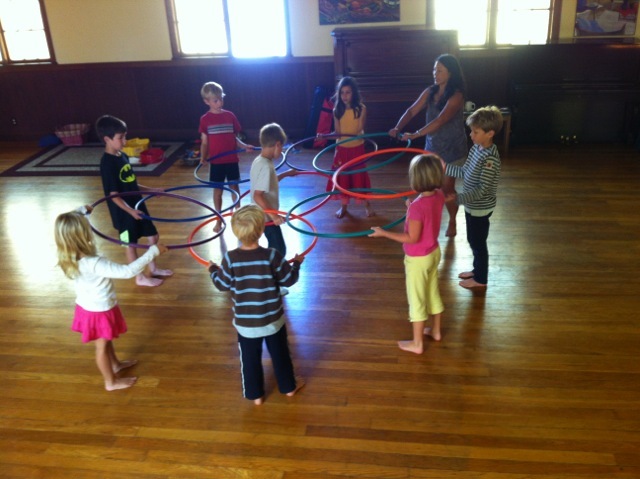 James is a dancer and movement specialist that knows how to work with kids. He listens in a way that any person can admire and is a great example of leadship. He is fun and silly, direct and clear...with an absolute love for the kids. It is great to see him action. Jnana Gowan, Director, created and has been teaching the Bunny Head Yoga program for over 10 years; she has 14 years of teaching yoga of all kinds from pre-natal to weekend retreats (for women) at the Esalen Institute in Big Sur. She has been teaching her program of yoga and earth stewardship through East Bay Center for the Performing Arts in Albany as well as El Cerrito public schools. Her 18 years of shamanic and earth stewardship studies is integrated into everything she does. Mostly, she likes to get out of the way so that the kids may lead the way.